Cooling is an integral factor in our energy system. Cooling is needed in a large variety of sectors and industries, not just in buildings but in the food chain, in manufacturing industries, for data centres and many more. And the demand is set to grow even further. Without a substantial leap in attention, an increase of research efforts, a prospering environment for sustainable solutions and strengthened cooperation of all involved, the impact on the climate and the energy system is unpredictable. Nevertheless, cooling has been overlooked so far. This needs to change. 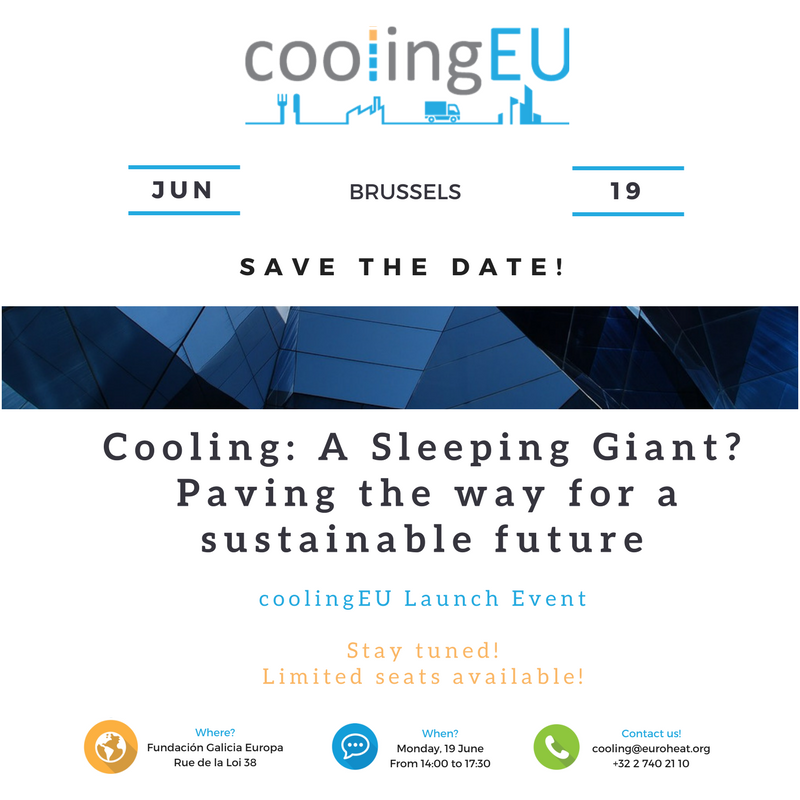 Therefore, a diverse group of stakeholders representing various sectors and industries, either in demand of sustainable cooling or offering sustainable solutions, have joined forces and founded coolingEU. Don’t miss out and register for the event here before June 15! Limited seats available!